Athletes of all sports—from baseball to football to hockey—base their physical training on improving the strength of their core using compound movements. That’s great for pro athletes, but what about guys who just want to get ripped abs? First off, let’s acknowledge a hard truth: Not all six-packs are created equal. Some need to work their belly to exhaustion before they can carve out abs, while others seem to get theirs to pop without a single situp. 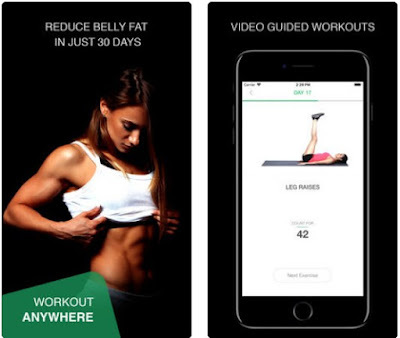 Regardless of where you fit on the fitness spectrum, if you’re ready to get ripped and lose your love handles, this app with abs exercises will be the last guide you’ll ever need. Meet 30 Day Ab Challenge!